It’s fitting that one of the biggest cities in the world also has some pretty big history. New York City is haunted by its past and contains some of the best ghost stories in the United States. Here, I have compiled the most haunted places in New York City. The White Horse Tavern is one of Manhattan’s most cozy pubs. It dates back to the 1880’s when it first opened as the Longshoremen’s Bar, but was best known as a hang out for writers and artists during the 50’s and 60’s. It is from around this time that the White Horse Tavern gained it’s most notable ghost. The haunted White Horse Tavern in Greenwich Village, New York City. 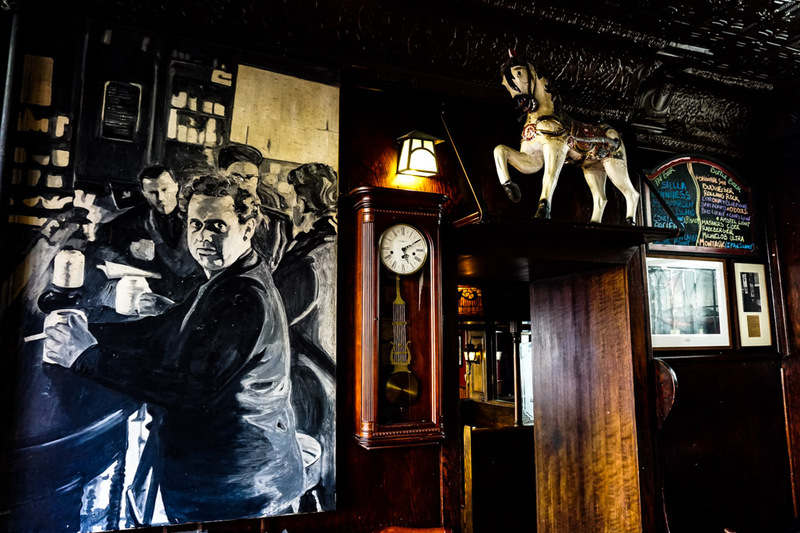 Dylan Thomas, famous poet and author of works such as ‘Do Not Go Gentle Into That Good Night’ and ‘And Death Shall Have No Dominion,’ was a regular at the White Horse Tavern. Thomas would often drink very heavily here and this contributed to his death. On the 3rd of November 1953 Thomas, who was supposedly ill at the time, drank large quantities of liquor at the bar. He then returned to his room at the Hotel Chelsea where he bragged about setting a record of drinking 18 straight whiskeys. From this point his health continued to deteriorate to the point of death just a few days later. Mural for Dylan Thomas inside the White Horse Tavern. Since Dylan Thomas’s death, many reports of his ghost have been made. He is often sighted at the White Horse Tavern sitting within his former favorite table. His mischievous ghost is also thought responsible for pouring himself a beer and shot that will often appear on the bar without explanation. 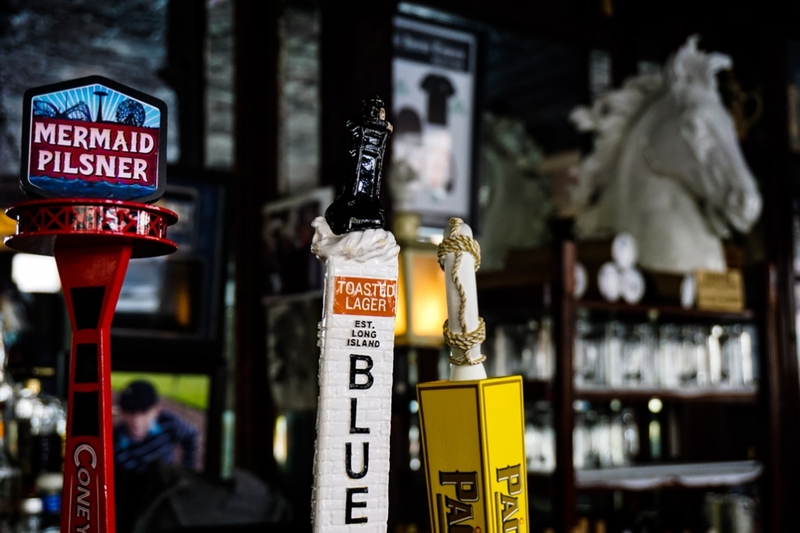 Beer taps inside New York’s haunted White Horse Tavern. Today, the White Horse Tavern continues to operate in Greenwich Village, serving up great food and drinks. Thomas’s presence is celebrated by the pub, who have created a mural displaying him drinking at the bar. 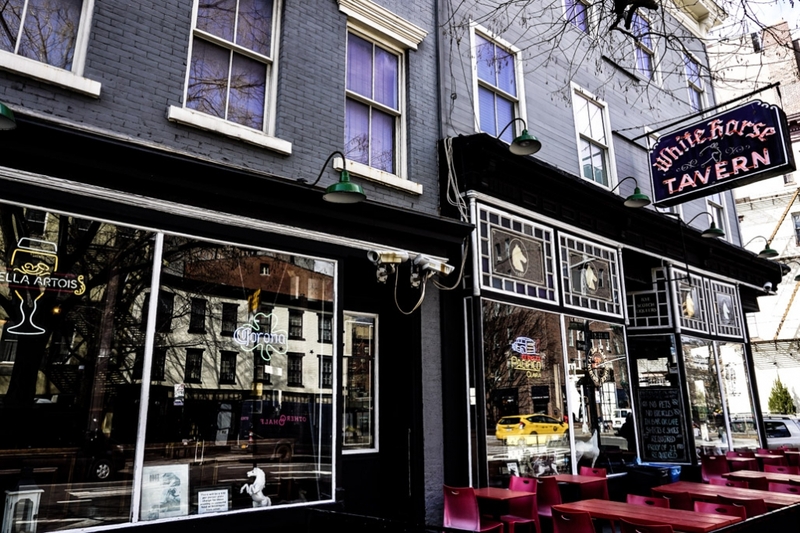 You’ll find the haunted White Horse Tavern at 567 Hudson St, New York, NY. The world famous Empire State Building has looked over New York City since 1931. As one of the tallest buildings in the world it has attracted many to its observation decks, where tourists are able to gain a birds eye view of the city. 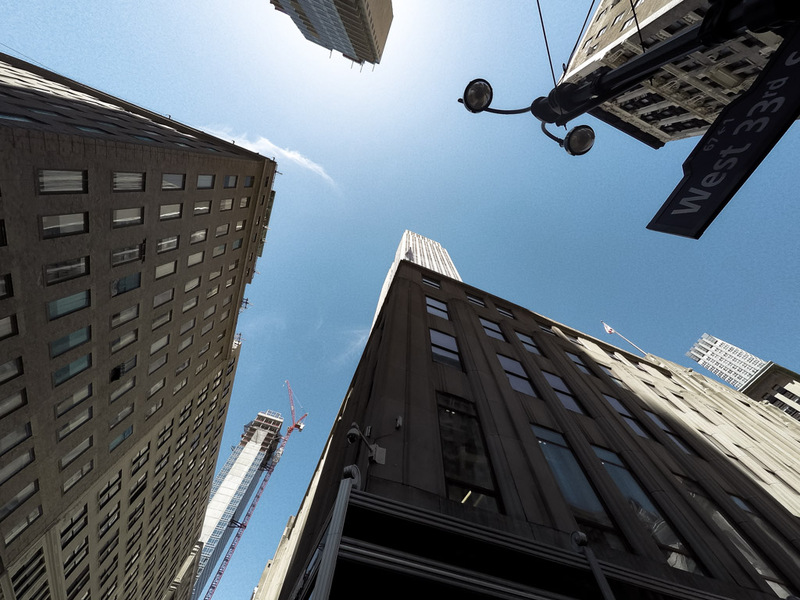 Sadly, this feature of the building has also attracted the attention of others, who look at the height of the Empire State Building as an opportunity to end their own lives. The haunted Empire State Building peering through other New York City buildings. 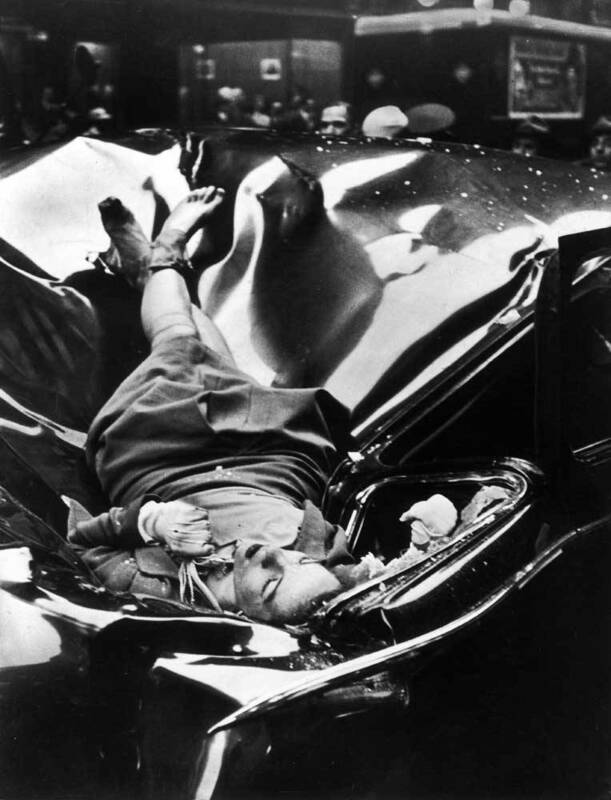 Although there have been many other instances of death within the building, such as 13 deaths caused by a plane crash and a shooting, it is Evelyn that continues to haunt it. Many people have reported a woman wondering the observation deck. She is dressed in 1940’s garb and sports dark, red lipstick. She cries and sobs about her fiancé, before scaling the side of the building and vanishes through the now erected suicide prevention barriers. 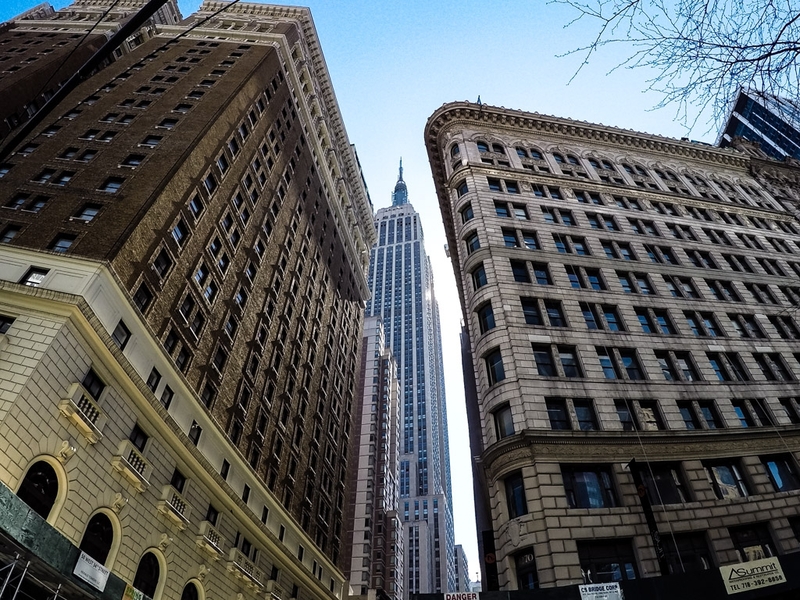 Looking up at the height of the haunted Empire State Building from street level. You can find the Empire State Building at 350 5th Ave, New York, NY. Purchasing a ticket will allow you to ascend to the top of the building and check out its haunted observation deck. Exterior view of NYU’s Furman Hall at 85 West 3rd Street, designed to replicate what the building Edgar Allen Poe once lived in looked like. The home Poe lived in was unfortunately demolished to make way for the new University building. Though the street front has been turned into a replica of Poe’s former home’s exterior. The only surviving original piece of Poe’s home is the staircase’s bannister. This is something that Poe would have scaled often during his time at 85 West 3rd Street, since he lived on the second floor. Today, he must continue to use the stair case as countless law students have had encounters with Poe’s ghost on the stairs. Formerly the home of Edgar Allen Poe, now housing his ghost. 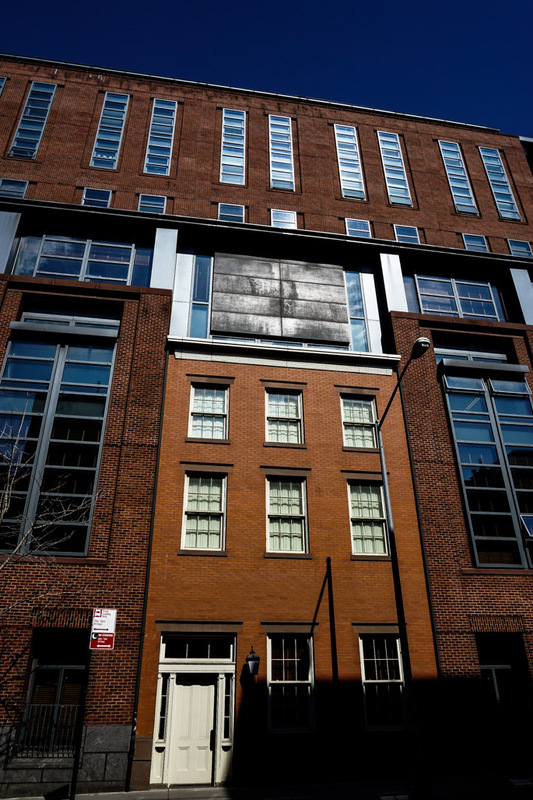 You’ll find this building at 85 West 3rd Street, New York, NY. It is only open at limited times so check ahead for these if you want to enter inside. Look out for number 5 on this list, which is located directly across the street. Gay Street is one of the quaintest, little one-way roads buried within Greenwich. 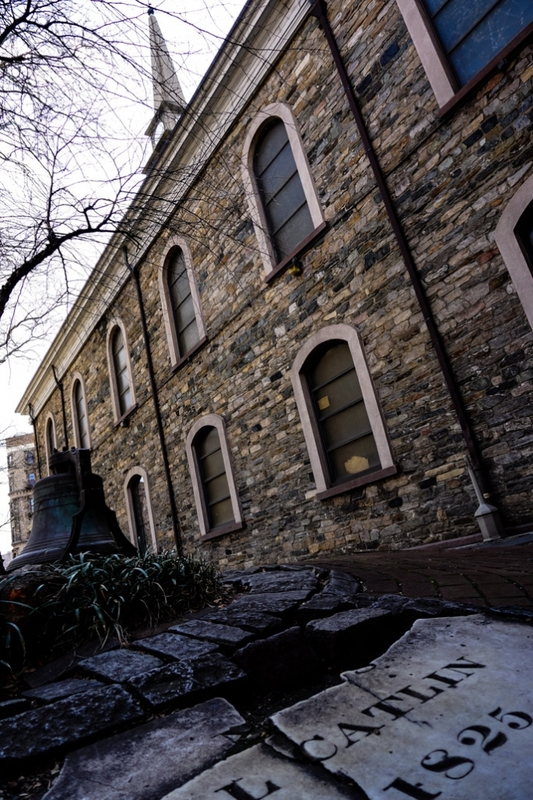 Very limited foot traffic passes by Gay Street and most would not suspect the location to have such a spooky history. 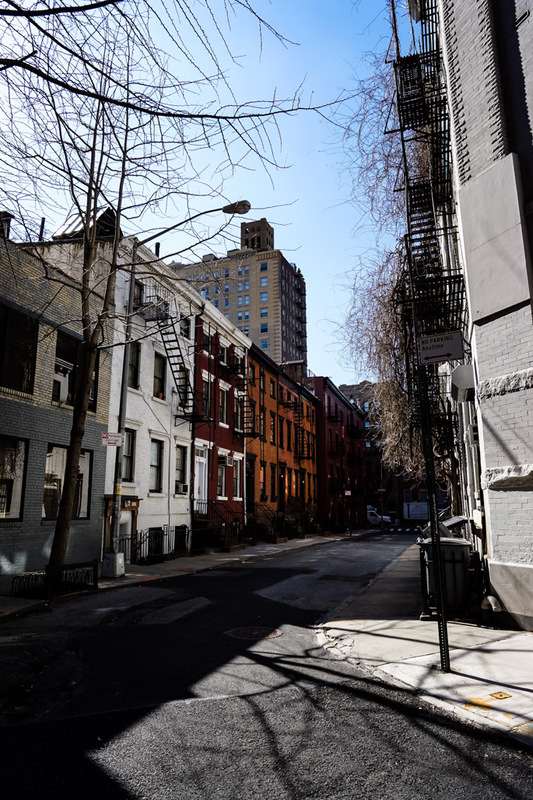 Looking down the quiet, yet haunted Gay Street inside New York City’s Greenwich District. Although spirits of flappers re-living parties from the past have been spotted along the street, it is number 12 that remains the paranormal hotspot of Gay Street. Here stands a gorgeous house erected in 1827 that has become known to many as one of New York City’s most haunted places. The residence gained notoriety when it operated during prohibition as a speakeasy known as the Pirate’s Den. The 1920’s saw the then Mayor Jimmy Walker purchase the property for Betty Compton, a show girl and his mistress. Many believe that she is one of the spirits that continues to haunt the dwelling. Although not paranormal, but adding to the creep factor of the property, it has a full-sized puppet theater made out of its basement, left over by former owner and puppeteer, Frank Paris. The infamous 12 Gay Street, home to multiple ghosts. 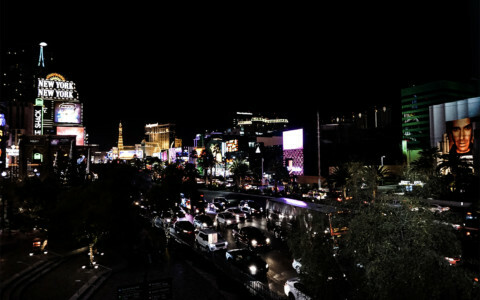 Many of 12 Gay Street’s visitors and occupants have reported several presences that are often felt within the property. The stairs of the building are quite active with phantom footsteps often being heard. Then there is the spirits of a well-dressed, top hat wearing man known as the Gay Street Phantom, numerous unknown lost ghosts, restless spirits left over from the time of prohibition and a French diplomat who apparently still visit the home after death. You’ll find this New York City haunted house at 12 Gay St, New York, NY. Please note that this a private residence, so be sure to show respect for the occupants. One of New York City’s lesser known and stunningly ruined sites sits on Roosevelt Island. It’s haunted past full of pain, death and isolation make the ruins of Renwick Smallpox Hospital a breeding ground for Paranormal activity. 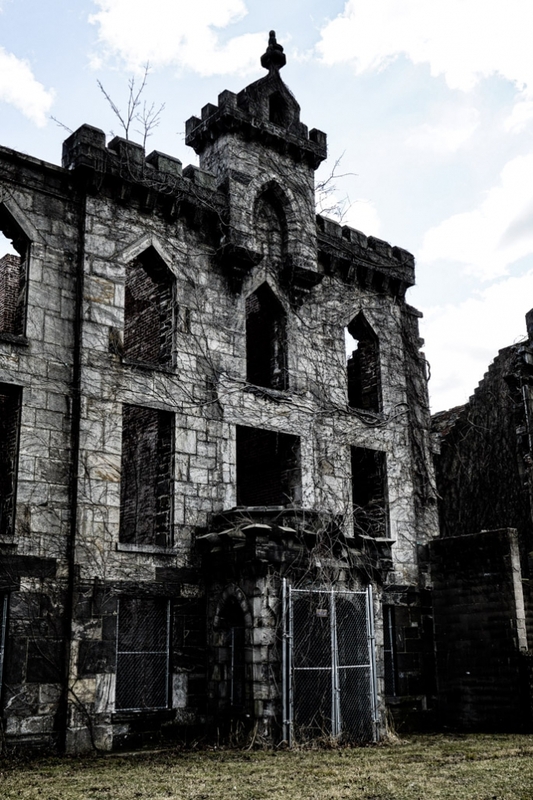 Front view of the haunted ruins of Renwick SmallPox Hospital on Roosevelt Island, New York City. 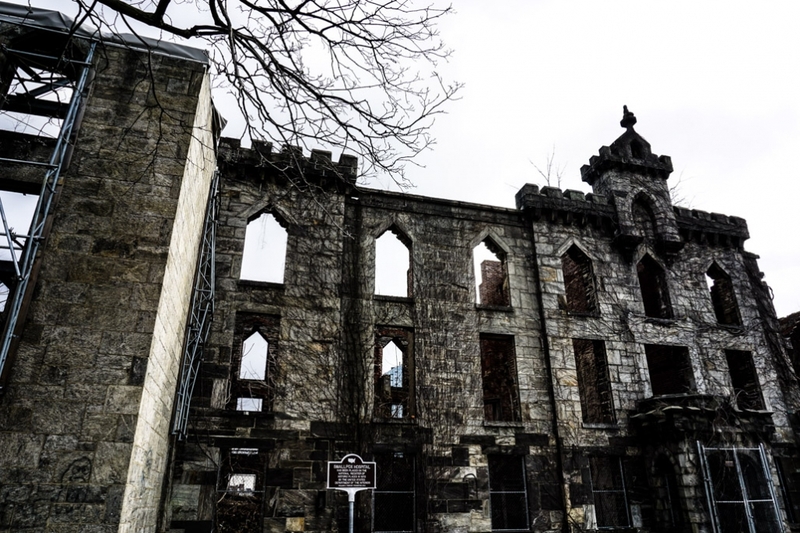 The now abandoned and crumbling smallpox hospital opened its doors to patients in 1856. Roosevelt Island provided the perfect location to quarantine the ill from the healthy within New York City. The Renwick Smallpox Hospital only held 100 beds but treated many patients during its 30 years of operation. The severity of this disease and inferior treatment during the time meant that the walls of this institution saw much death. It is predicted that almost 14,000 people passed away inside the hospital. Disposal of the bodies of the deceased saw them piled up, burned and then dumped into the East River. The back of Renwick Smallpox Hospital. Now a fenced off, rarely visited historical site, the abandoned hospital has still managed to gain its fair share of paranormal stories. Many who have visited the area have reported hearing phantom noises with no apparent source, unexplainable light anomalies and dark shadow figures lurking within the crumbling walls of the decayed ruins. 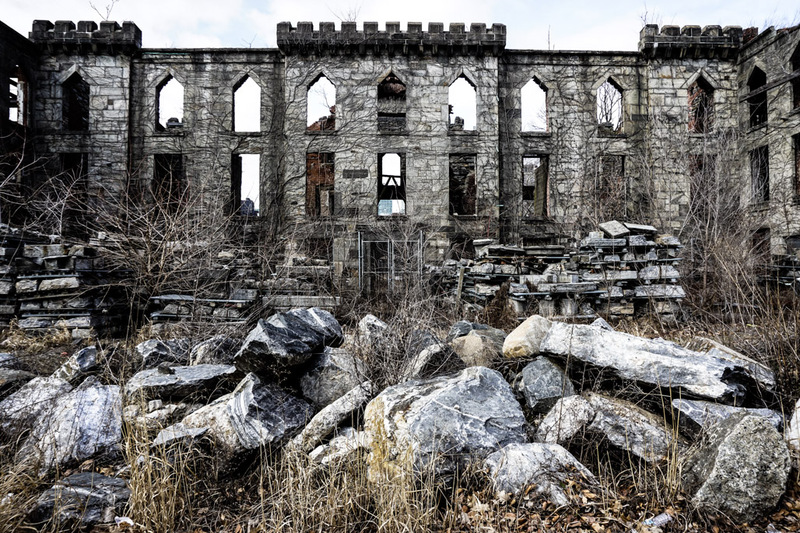 Another view of the crumbling ruins of Renwick Smallpox Hospital, New York City. You’ll find the Renwick Smallpox Hospital on the South side of Roosevelt Island, just a short walk from the subway and tram stations. It should be noted that the hospital ruins are fenced off, as the sits is unstable. Just across the street from number 8 on this list sits another of New York City’s most haunted locations. 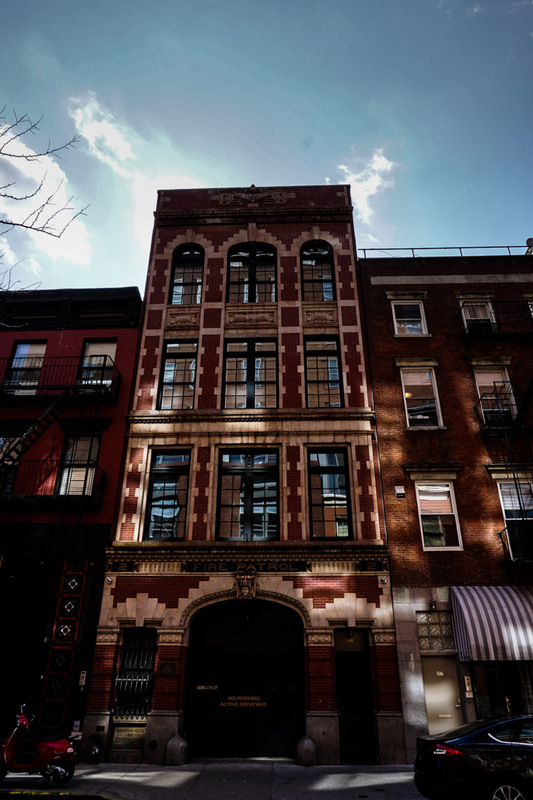 The address of 84 West 3rd street is today a retro-fitted private residence owned by a CNN Anchor, yet was once New York’s Fire Patrol Station #2. 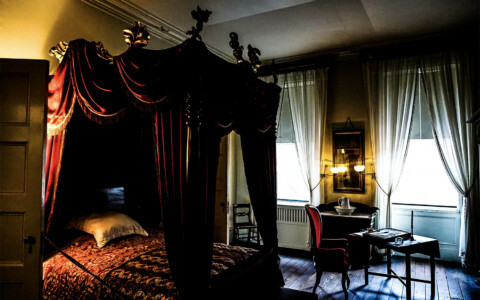 It is also the home of one of New York City’s most well-known ghosts. 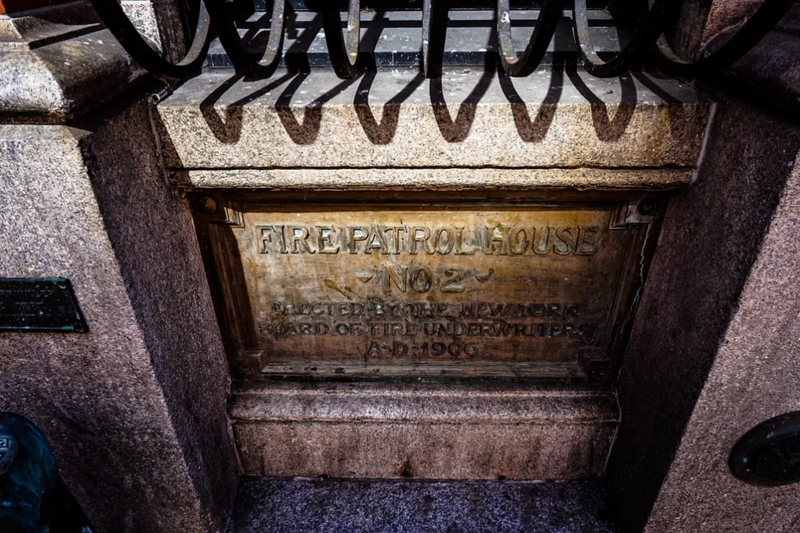 Outside the haunted 84 West 3rd street, a former fire station haunted by a firefighter. The building has existed since 1906, but didn’t gain its first ghost until the 1930’s. During this time one of the station’s firefighters, known as Schwartz, became distraught after learning that his wife was cheating on him. Sadly, he took his own life by hanging himself from one of the station’s rafters. Ever since, many reports of strange noises coming from the attic have been reported. There are also instances of people sighting Schwartz’s ghost in the building. He will appear and then disappear suddenly, dressed in old time firefighter gear. Some have even claimed to see his spectral body hanging from the rafter where he took his own life. 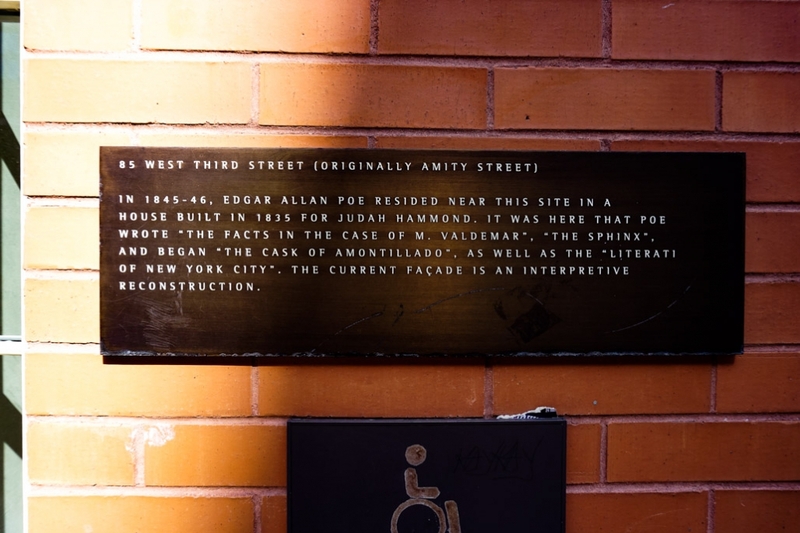 Plaque on the haunted 84 West 3rd street. 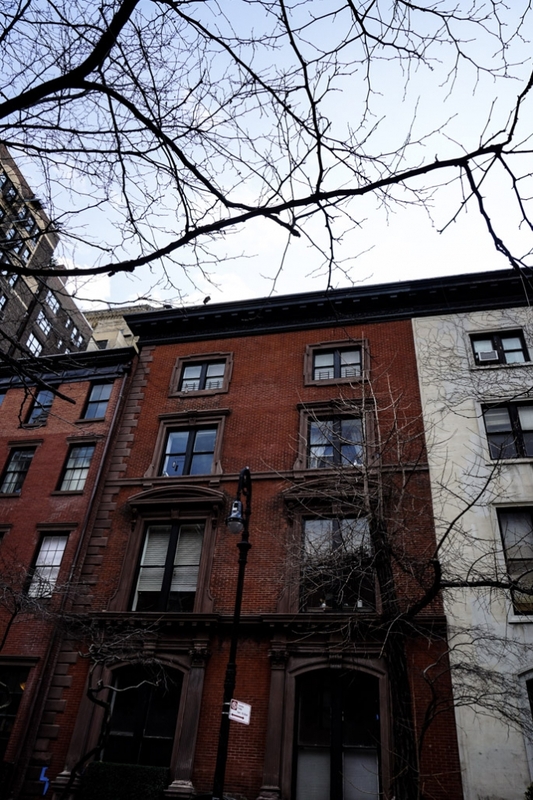 You’ll find this New York City haunted location at 84 West 3rd Street, New York, NY. Right across the street from number 8 on this list. Please note that this is a private residence and please do show respect to the occupants. 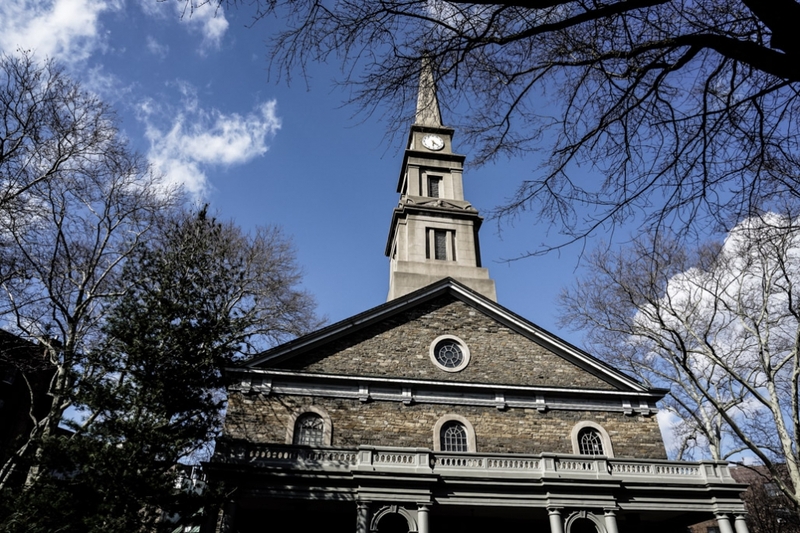 Manhattan’s second oldest church dates back to 1660. Surrounded by graves that are just as old, St. Marks Church in the Bowery certainly looks the part of a haunted spot. Graves outside of the haunted St. Mark’s Church in the Bowery. 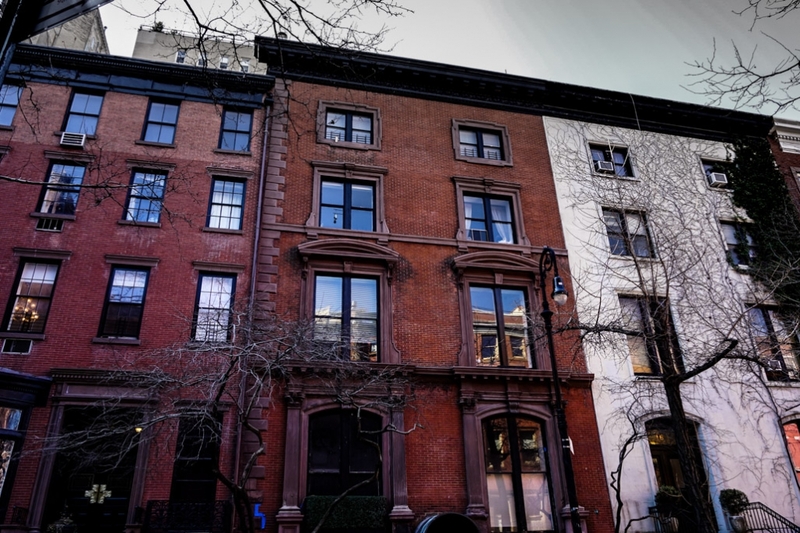 It was originally built for Peter Stuyvesant, who was a Dutch Colonial living in the then Dutch dominated area that is today modern Manhattan. Stuyvesant was a world traveler, sailor and missing his right leg due to an incident with a cannonball. Due to his injury, he sported a wooden leg. This was to make his ghost rather distinctive after his death in 1672. Outside of the very haunted St. Mark’s Church in the Bowery. Stuyvesant is the most commonly sighted ghost of the haunted St. Mark’s Church in the Bowery. He has been sighted by many over the past few hundred years since his death. Many have heard and seen him walking through the church and outdoor area, dressed in typical Dutch clothing from the period and hobbling along on his wooden leg. He is also thought responsible for ringing the church bells from inside the empty church and disrupting sermons by speaking loudly over the top of them. There is also reportedly a female spirit seen roaming the halls of the church too. 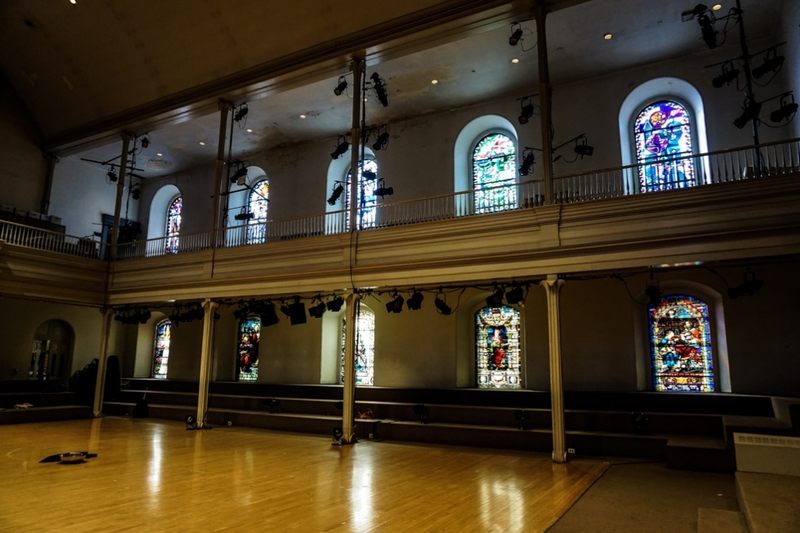 Inside the main hall of the haunted St. Mark’s Church in the Bowery. You’ll find the haunted St. Mark’s Church in the Bowery at 131 E 10th St, New York, NY. Check their calendar ahead of time for opening hours. Washington Square Park is the perfect mid-city picnic area or just a peaceful place to retreat from the fast pace that New York is known for. Yet, many hanging around this picturesque park probably don’t realize the disturbing secrets hidden just beneath their feet. Entry arch to New York’s haunted Washington Square Park. The patch of land now occupied by Washington Square Park was once a place Native Americans would bury their dead. Years later the land would return to use as a burial ground, yet this time on a larger scale. The late 1700’s and carrying into the early 1800’s saw thousands of New Yorkers perish from a Yellow Fever epidemic. To deal with this scale of death, a mass grave was erected in the spot where Washington Square Park now exists. It is estimated that around 20,000 bodies were buried underneath this piece of land. It is rumored that many lost spirits still roam the park today, confused as to their sudden passing. Visitors have reported sighting ghosts of people dressed in old time clothing, who vanish before their very eyes. Strange light anomalies are also a common occurrence. View of Washington Square Park, once the site of a Potter’s Field. 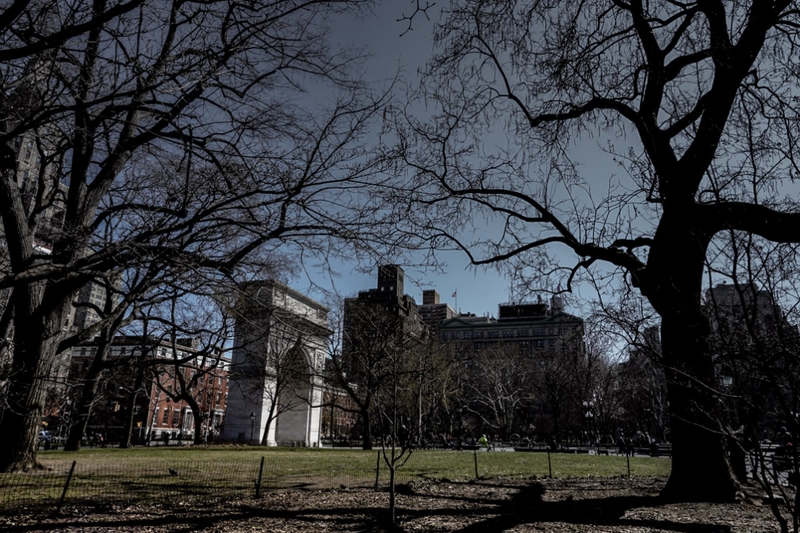 If you thought the haunted history of Washington Square Park couldn’t get any darker, you’d be wrong. 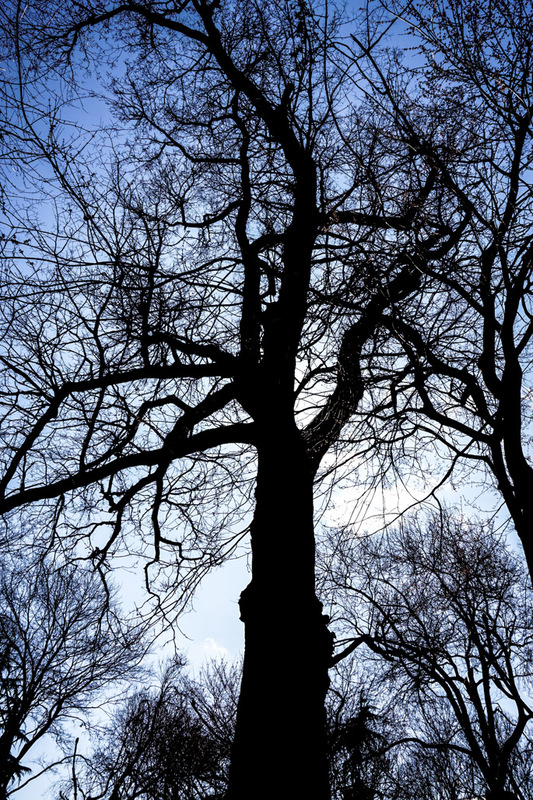 At the Northwest corner of the park stands a gnarled tree known as Hangman’s Elm. This landmark is actually the place many criminals took their last breaths before being executed and hanged from this very tree. It is here that many have caught glimpses of shadowed corpses dangling from the tree. Hangman’s Elm tree inside the haunted Washington Square Park. 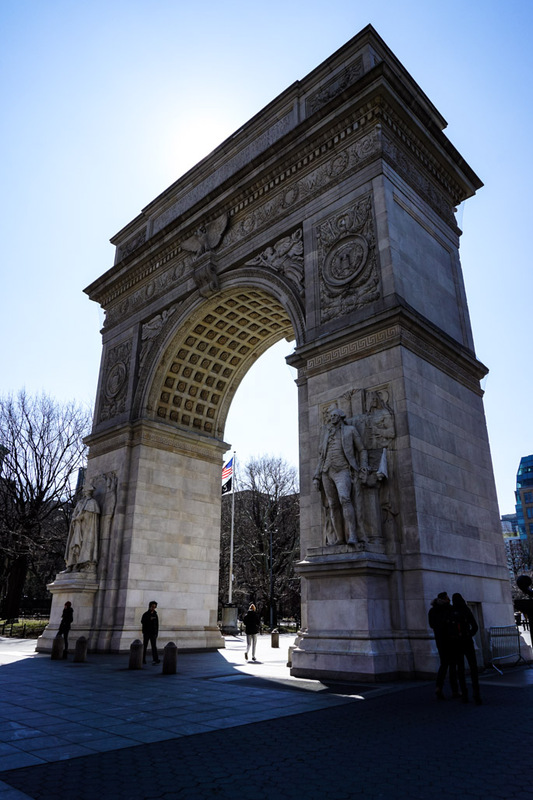 You’ll find Washington Square Park at 5 Ave, Waverly Pl., W. 4 St. and Macdougal St, New York, NY. Look out for ‘Hangman’s Elm’ at the Northwest corner. The Dakota is an oppressive looking building that has forever tainted New York as the landmark John Lennon was assassinated. The former Beatle lived in the private residence for many years with Yoko Ono before his tragic death. It is rumored that his spirit continues to return to the Dakota. He has been sighted standing near the entrance of the building surrounded by a glowing light aura, as well as playing the piano inside of his former apartment. Outside of the haunted Dakota Building where John Lennon was assassinated. Although John Lennon’s ghost is certainly the most famed at the Dakota, he is not the only one haunting the building. Construction on the Dakota concluded in 1884 and it has since been busy accumulating ghosts. 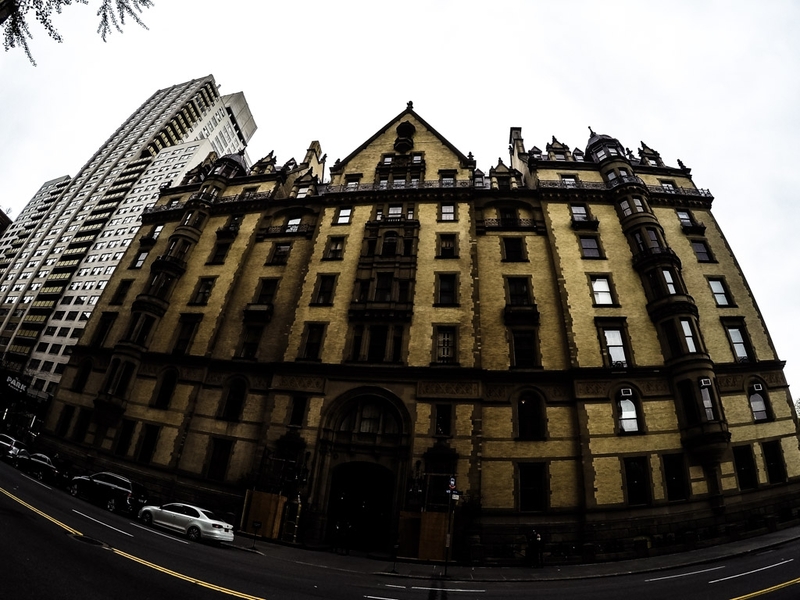 Several spirits are thought to haunt New York City’s Dakota Building. There is the Crying Lady, seen roaming the halls of the building. This ghost is believed to be Elise Vesley, who was the Dakota’s manager from the 30’s through to the 50’s. It is speculated that Elise has clung to the Dakota building since her death as it was the site that she suffered tremendous pain, when her young son was killed, being struck by a truck just outside. 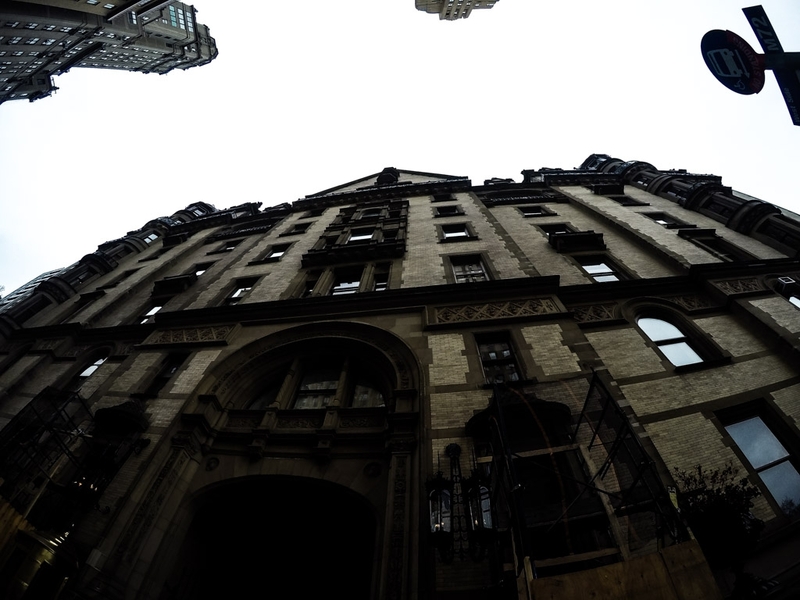 Looking up at one of New York City’s most haunted places, The Dakota Building. There is also the ghost of a little blonde girl who is usually spotted in a yellow dress, playing with a red ball. Then there’s a strange looking short man wearing a wig looking over the building, believed to be the ghost of Edward Cabot Clark, the man responsible for building the Dakota. Poltergeist activity has also been documented in The Dakota’s basement. This is believed to be Jo Mielziner, killed in a car accident just outside the building. Multiple other ghost stories exist, yet the most sinister which deserves mentioning is commonly referred to as ‘The Phantom of The Dakota’ or the ‘Mad Slasher.’ This mysterious spirit was blamed for continuous damage caused to a refurbished elevator, where slashes to the interior, as if cut with a knife, would mysteriously appear. You’ll find the haunted Dakota Building near Central Park at 1 W 72nd St, New York, NY. This one is also a private residence. When a property has such a dark history that it receives the nickname ‘The House of Death’ you can be sure that it has associated ghost stories. At 14 West 10th Street a rather unsuspecting house, which was once occupied by Mark Twain, has earned its terrible reputation and is thought to be the most haunted place in New York City. Outside of New York’s notorious and haunted House of Death. The house originally built in the 1850’s is said to house 22 spirits, including that of Twain and a ghost cat to boot. Twain has been sighted throughout the property and is usually wearing a fully white suit. Other ghosts include children, an elderly lady, shadow people and a lady in white. 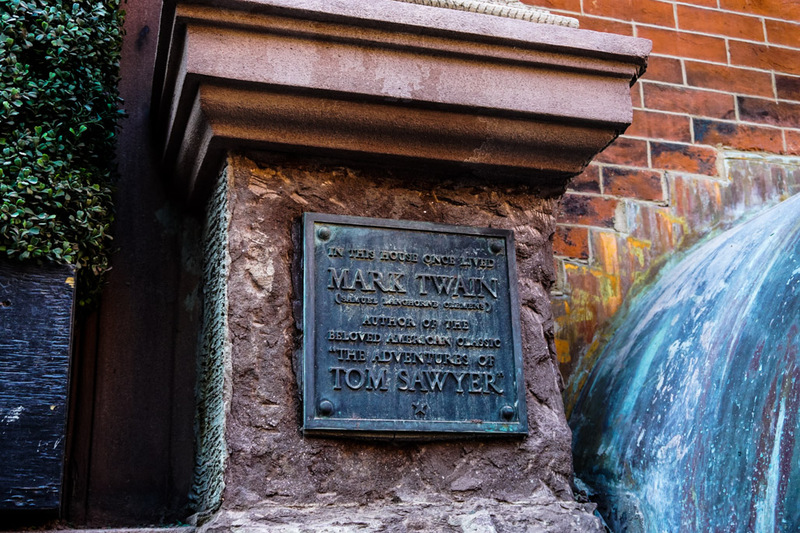 The House of Death in New York City, supposedly haunted by Mark Twain. Spirits aside, the most disturbing event to occur within the property, turning into a real life house of horrors occurred in 1889. Joel Steinberg, a former defense attorney, committed an atrocious murder within The House of Death, beating his illegally adopted six year old daughter to death with a telephone. When police arrived on the scene, they also found another child covered in it’s own excrement, fastened to a playpen. 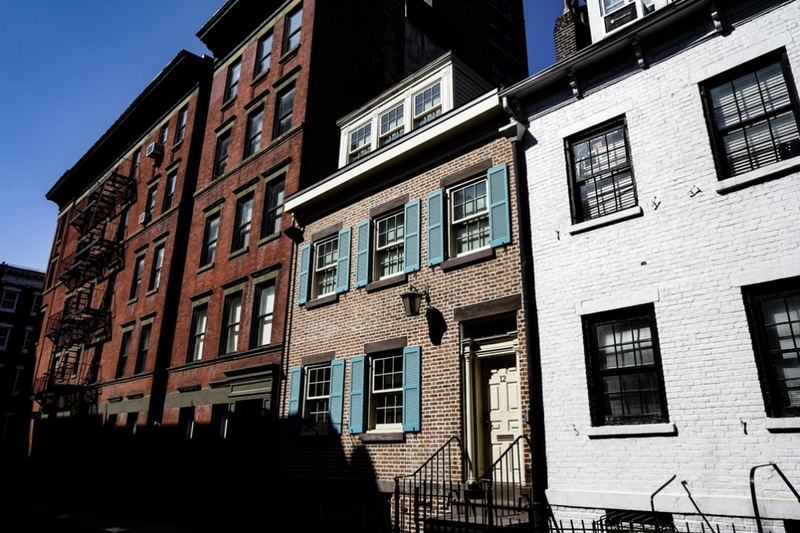 New York City’s most haunted place: The House of Death. The House of Death is located at 14 West 10th Street, New York, NY. Again, this one is also a private residence, so please be respectful. New York City’s sheer size and dark past have allowed it to create many ghost stories and amazing haunted locations for paranormal buffs to explore. This list is a good start towards finding ghosts, but please let me know if you have any other notable spooky places worth mentioning. Take care when investigating, visiting and exploring haunted places. Some places listed here are private residences and should be respected as such. 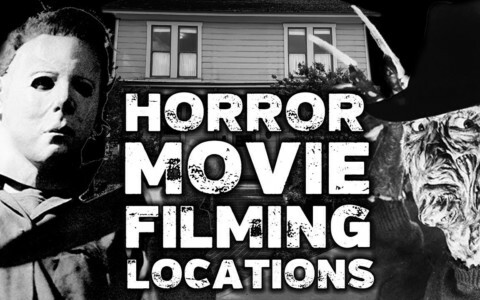 Looking for other nearby haunted places worth visiting? I highly recommend a stay at Falls River, MA inside the Lizzie Borden Murder House!